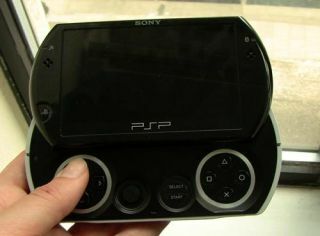 Sony planning iPad rival and PSP smartphone? Sony is planning to release a number of new mobile devices and accompanying software services in order to compete with Apple's iPad, iTunes Store and iPhone in the mobile internet and gaming spaces. The latest news on Sony's new mobile strategy revolves around something currently called Sony Online Service, which will deliver content to a number of new smartphone and tablet-like devices, according to a recent Wall Street Journal report. Sony has clearly seen the runaway success of Apple's iTunes Store, particularly the booming market for mobile iPhone and iPod touch apps, and wants in on a piece of the action. Sony Online Service is expected to offer a similar range of music and video content, and the jewel in Sony Computer Entertainment's crown – it's massive back-catalogue of PlayStation games. Sony is planning to make a smartphone that can play those downloadable games made for the PSP Go— the much rumoured "PSP phone." A project is also underway to make a new device which "blurs distinctions among a netbook, an e-reader and a PSP," according to the Journal. "It's still not quite clear what specific steps Sony will take to achieve that, especially when iPad and other highly capable mobile devices are crowding the market," Nobuo Kurahashi, a consumer-electronics analyst at Japanese brokerage Mizuho Investors Securities, told the WSJ.